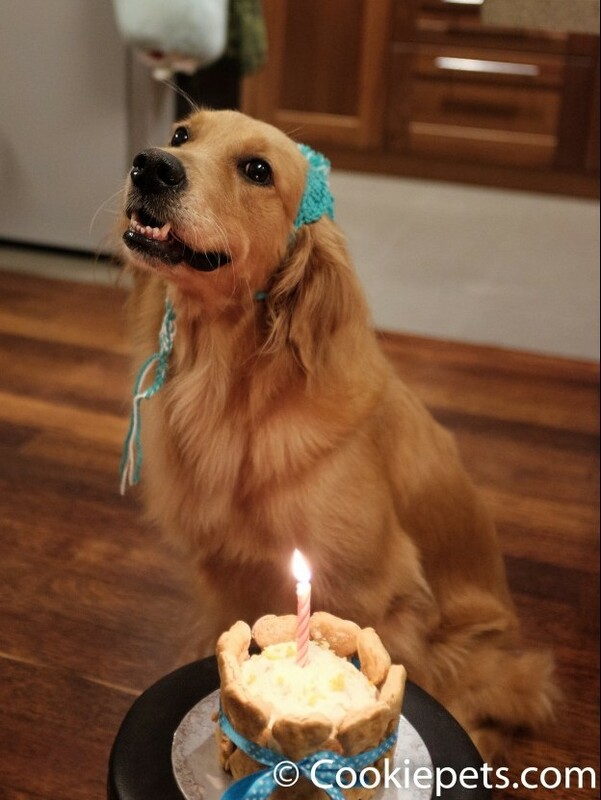 It was Cookie birthday, I never celebrate her birthday before. This 4 years old birthday, I decided to baked her a birthday cake made of pumpkin and banana. 1. Preheat the oven at 180C. Grease a 5′ cake pan. 2. Mix all the ingredients except cream cheese and pour the batter into the cake pan. 3. Baked about 15-20min, or until the toothpick comes out clean after inserted at the center of the cake. 4. Beat the cream cheese with handmixer until till fluffy. 5. spread the cream cheese on top of the cake as frosting. The bone biscuits decorated around the cake are oatmeal biscuits, can refer to my previous post. Finally put a ribbon around the cake.